Gary Mackay-Steven believes he is ready for a recall to the Scotland squad after reclaiming his place in the Celtic team. The winger has just one senior international cap to his credit, appearing as a substitute for the last six minutes of the 0-0 draw with USA at Hampden in November 2013. Mackay-Steven has also been an unused substitute on three occasions for Scotland under Gordon Strachan but has not featured for almost two years. With Strachan set to name two separate squads for the challenge matches against Czech Republic and Denmark next month, the 25-year-old is hopeful he can start to stake his claim for a place in the manager’s plans for the 2018 World Cup qualifying campaign. “It’s something I’ve not thought about too much as I’ve been concentrating on Celtic,” said Mackay-Steven. “But I’d be lying if I said that it wasn’t my ambition to get into that set-up. I know that to get back with Scotland I need to play every week and play well at Celtic. “I’ve been in and around senior squads and got that one cap against USA. It would be great to get more chances and hopefully that will come. “I was in quite a lot of squads at that time but not playing, so I didn’t really feel as if I was going to be there to stay. “I knew it would be tough and I understand you have to play every week for your club. There are two squads going to be announced for these next Scotland games and we have such a strong group of players pushing for places. “The Scotland team that’s been playing has been settled and similar, so it’s hard to break in. But if I concentrate on my game, then I feel that it’s within my reach. “I was on the fringes when I was last in the Scotland squad and felt that way. But I didn’t feel overawed. To be in squads and not get minutes on the pitch meant I never got established. Mackay-Steven has emerged from a difficult spell at Celtic to re-establish himself in Ronny Deila’s side. He has started the last seven matches after returning to the line-up in the 8-1 rout of Hamilton Accies at Celtic Park last month in his first league start since October. “It was the first time I’d started a game for a few weeks, so it was good to be involved,” he said. “You only get your match fitness from putting a run together and I’ve done that since then. I feel good now. “You just need to make sure that when you get a chance in the team, you contribute and do something positive. Mackay-Steven is relishing tonight’s meeting with Accies at New Douglas Park. 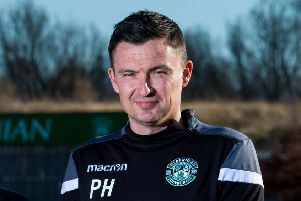 The former Dundee United man is a big fan of Friday night football and hopes to help Celtic to a victory which would put extra pressure on their nearest rivals Aberdeen, who play on Saturday afternoon. “If I had the choice, I would always play on a Friday night,” he added. “People enjoy it and they then have the rest of their weekend to look forward to. I also enjoy playing under the floodlights at any time. “Judging by the crowds, Friday night also seems popular with the fans. They also seem to come out for these fixtures. It’s great and long may they continue. “It’s another positive that you can get your points in the bag early. If you are sitting back after a victory on the Friday night, waiting for the other results, it’s always nice. It can be a bit of a psychological factor. “When another team is playing on the Friday before you, you are certainly aware of the result. So maybe it has an effect. I wouldn’t say it bothers me personally, but I suppose it could, depending on the different scenarios in the league table at any given time. It could make a difference. “Aberdeen are not far off us just now. They are playing well and winning games, so it is definitely a title race. “Last season they had a challenge for quite a while. Obviously, we finished well ahead of them in the last few weeks of the season but Aberdeen are sticking by us this time. They are on our heels, playing well, and we need to take them seriously.